Costa Rica’s beaches and central valleys along with the country’s attractions have an irresistible charm bringing tourists, the adventurous young, retirees and investors from all over the world. Most come for the sun and surf, climate, beautiful valleys, volcanoes, jungles, excellent security, good infrastructure, and low living costs. 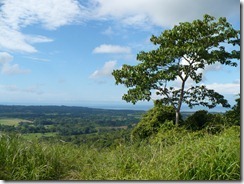 All of which makes Costa Rica, especially the Central Pacific, a great location to call home. RE/MAX Jaco Connection is here to help you realize your real estate dream. Here in Costa Rica we are proud to be a part of the RE/MAX international network and to offer the quality of service associated with its name. RE/MAX is the largest, most well known real estate name in the world with over 13,000 associates and 7000 offices in over 65 countries. Nobody sells more real estate than RE/MAX. 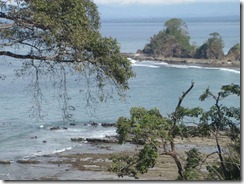 As a buyer this important to you because there is no Multiple Listing System (Costa Rican MLS) service in Costa Rica. It is important to take advantage of websites like www.jacobeachinfo.com which functions as the de facto MLS of the Central Pacific coast. The listings include: range from new condos and homes on the beachfront in Jaco, raw land and inexpensive farms, oceanview lots in Hermosa Beach and income producing commercial property on the Central Pacific coast. Additionally, your RE/MAX agent will have the inside knowledge that will give you an edge on the market and help you to get plugged into the local community. Here is some resourceful information on the purchasing process. In Costa Rica, foreigners enjoy the same ownership rights as citizens and are fully protected by the constitution. For legal and economical reasons, it is recommended that the purchase of real estate be performed through a Costa Rican Anonymous Corporation. This provides the anonymity which many foreign investors desire, making it difficult for outside parties to obtain information about who owns the shares of the Corporation and thus the property. Also, registering assets under individual Costa Rican corporations protects against any personal liability. A common practice has been to transfer the shares of an existing company that owns the land to be purchased, instead of transferring the actual property to a third party. This is a faster and cheaper way to achieve the goal of transferring control of the property to the buyer, since it is the shares of the corporation that change hands. Also, no capital gain tax is paid in Costa Rica when a corporation that owns property is sold, due to the sale being a private transaction. When you acquire the shares of a corporation in Costa Rica along with the company’s assets, the property also becomes its’ liabilities. For this reason, it is essential to perform a corporate search, in addition to performing a title search. This step will verify that the entity being transferred with the property is in appropriate legal standing. Those who purchase in Costa Rica should receive professional advice from both a licensed Realtor and a qualified real estate attorney. Contact us if you have any questions.